The mulching continues. Pruning is next and lots of clean up around the garden. I have noticed that my elderberry has sprouted from the roots and I think I will leave this new shrub in place. Since our “cold” weather is so mild some plants are still outside…including some orchids that seem to be doing excellent and they are even budding. The mulberry trees are sprouting new leaves already. 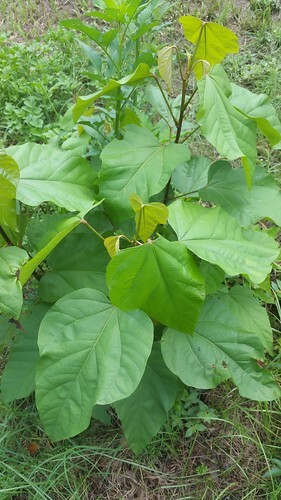 One of my Bixa Orellana trees still have all its green leaves. Another one of the Bixa’s has seed pods that may be good for making rice coloring. 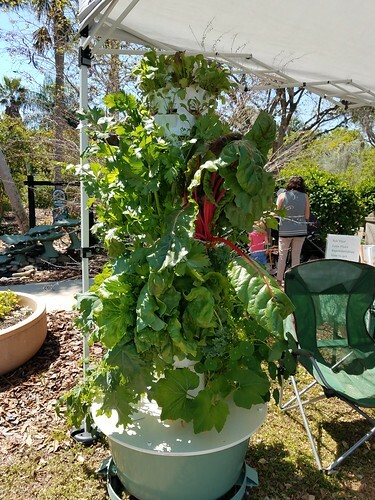 The tower garden has to be cleaned and planted over. The thyme and the Italian oregano can be planted in the ground. The rest of the plants will be discarded and start from scratch. The top is going to be different types of lettuces, as usual. Some kale and also some more Swiss Chard. Parsley and probably again a new oregano and thyme. The celery grows so slowly that I transplanted them to the Farm Daddy’s planters. The middle raised bed in the front is ready to put some more fresh soil in and plant some carrots and mustard. 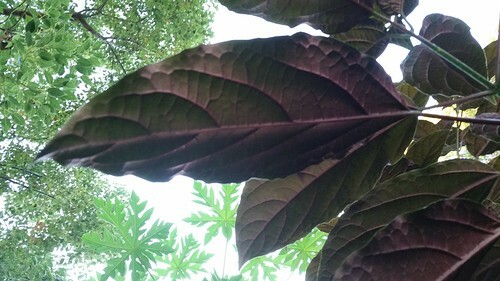 I started with one clerodendrum quadriloculare and now I have three in a row. I have pulled some that sprouted about 4 feet away from the original plant. Looks nice, but what is the plant with yellow flowers called? 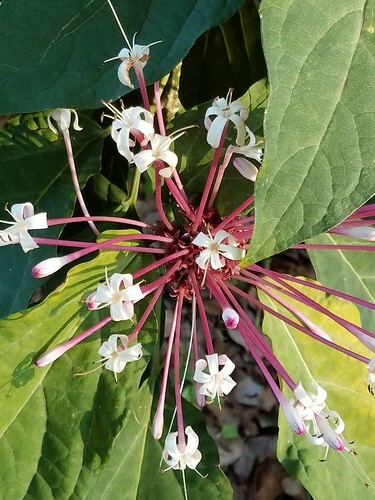 I see that the clerodendrum quadriloculare is aptly know also as “Starburst!” Some of the flowers look just like fireworks! 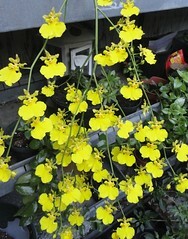 The plant with yellow flowers is an oncidium orchid called dancing lady.